There is no way I could write without critique groups. I’m in two of them, and one includes Laura V. Hilton. Laura challenges me as an author, digging deeper for character, details, and plot points. She’s helped so many with her great eye and skills. As a reader, I’m constantly drawn in by her romances. When it comes to Amish Romance, Laura is my absolute favorite. I think you’ll agree, too. 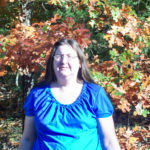 Laura is sharing today, and she is offering a print or eBook book of your choice. However, if winner chooses The Second Chance Brides Romance Collection or Christmas Admirer, they’ll have to wait for author copies. USA only for print. Ebook anywhere. Thanks, Laura, for sharing and offering the giveaway! Romance. Ah, I love it. Years ago when I was a teenager, there was a shortage of Christian romance novels. This was before Janette Oke burst on the scene, saddles blazing, and threw wide open the doors for romance writers. The only writer back then that I knew of was Grace Livingstone Hill. Mom had her entire collection and I read them and reread them so many times I had them memorized. And then I got a part-time summer job at the library in town. And they had these twirly paperback stands stuffed full of romances. Harlequin, both regular and super. American. Regencies. And more. Oh, bliss to the romance lover’s heart. I checked out a huge stack of them. Being used to Grace Livingstone Hill, I expected a clean, sweet romance. What was inside the pages of the book didn’t match my imagination. But, oh. My. Goodness. Wow. I’m sure my teenaged eyes popped. Sadly, or maybe fortunately, my dad decided to check out what I was reading. And then he sat me down to discuss the book with me. How embarrassing! I about died. He even talked to my English teacher at school who talked with me about my bad reading choices. And then she singled me out to not read what any of the other kids in my class read, but she assigned the classics: Wuthering Heights, Call of the Wild, To Kill a Mockingbird, Uncle Tom’s Cabin, and more. She was careful to steer away from romance so Gone with the Wind and Jane Eyre was not included. And the books were good. I enjoyed them. Inhaled them, but it didn’t fuel my need for romance. I got very good at smuggling a book or two in and reading it under the covers at night. When I was about eighteen years old, Janette Oke came on the scene. And yes, I devoured her books. I stopped reading the paperbacks in the library and read Dad-approved novels with a strong faith message. I didn’t have to sneak around with them. Yes. True, that. But one doesn’t think of God as being a lover when you are a teenager or young adult. Still, that quote stuck with me. Through the years when I dreamed of being a published writer. Someone like Janette Oke or Robin Jones Gunn. I didn’t want to write something Mom would be embarrassed to read and I knew Dad would discuss anything I wrote with me. So that meant clean. But while I’d given my life to Jesus by then, I wasn’t sold out to God. That came much later. Now, there are an abundance of Christian romance novels on the market. Great authors who I collect every book they ever wrote. Historical, contemporary, romantic suspense, Amish… I can read my fill. And thanks to God, He allows me to write it too. My daughters are able to read any book on my shelves without worry. And they learn what a true godly man is. They get a strong faith message. When I was older with young children, I heard Tracie Peterson speak at a conference. And she gave her testimony, sharing how she grew up—like me—smuggling books home from the library and how she made some bad decisions as a result. I am blessed I had parents and teachers who cared and didn’t want me to go down that road. Thank you, Grace Livingstone Hill for coming first. Thank you, Janette Oke, for throwing the doors wide open for other authors. And thank you, Robin Jones Gunn, for writing words that stayed with me for decades. And last, but not least, thank you God for blessing so many other romance writers with the ability to share Your love and faithfulness to other romance readers. Leave a comment on who your first Christian romance author was that you enjoyed for a chance to be in Laura’s giveaway, details above. Eligible comments will be those published before August 1, 12am Eastern. HI Julie and Laura. I’m blessed to have grown up with Janette Oke, the Thoene’s, Tracie Peterson, and so many other awesome Christian authors. My favourite however, would have to have been the Thoene’s Zion series- those books changed my attitudes towards history, stories, romance and living a faith filled life. Thanks for contributing with great books that I have no problem recommending to my teenage students. Hi, Wemble. What do you teach? I ave read one of Thoene’s books, I think, a very long time ago. Great authors! I think I’ve devoured everything Tracie Peterson has ever written! My first Christian author was Janette Oke after seeing some of her books made into inspiring movies. IRaines, Hi. I have a couple movies inspired by Janette Oke’s books. My daughters have read her as a result of the movies, too. Janette’s books were some of my first as a very new Christian. Love them. Hi Julie and Laura! In the late 1960s while in high school, I also read Grace Livingston Hill romances that were available in the local library. Our small town was fortunate to have a Christian Book Store and monthly I used my babysitting and bakery job money to buy Christian books. Catherine Marshall’s books were my favorite, especially Christy since I wanted to be a teacher. These books I read and reread. Do not remember the other authors. When I got married, I donated all my romances to the church library. As a senior in high school my mom was not pleased with several best sellers that I was reading at the time. I too learned not to share all my books. As a German American in 1990s I read the Thoene’s Zion series. As an adult and pastor’s wife this series I shared with my mom and friends. Living in SW Michigan, we live within an hours drive of Amish Country – Middleburry, Shipshewana, and Nappanee, Indiana. Also visited the Amana Colonies in Iowa. Thanks for sharing . Hi, Renate! I’ve lived in SW MI for years. Also have been to the Indiana and Illinois districts. My new book (coming fall of 2018) is set in the UP of MI. My joke is I had to move to Ohio because I read all the books in Upstate NY! There was a country library I used to visit that focused on Christian fiction. I loved it! Renate, do you still live in SW Michigan? I do also! Juliear, I work at a small country library, that also has a wall of inspirational fiction! It is our library director’s favorite genre so we are very fortunate! My first inspirational author was Jan Karon. I forgot a book to read at lunch and my best friend’s book was sitting there . I read it and loved it! She told me that was book.#3 and to start with #1. My dear friend from Girl Scouts introduced me to Grace Livingston Hill in the 1970’s . Prior to that I never knew this genre existed! I love it and rarely read anything else. Janette Oke’s “Love Came Softly” series was probably my first Christian romance. I’ve read nearly every book she’s written. I also remember reading Jane Peart’s books. Now, I read EVERYTHING I can get my hands on! I love those books, too! I remember reading Grace Livingstone Hill until I got tired of the duplicate plots :-) Now her books are fun to read again, in between all the others available. I confess, I never read any of hers. Janette Oke really opened the doors for Christian romance novels, along with her publisher, Bethany House, who took a chance by trying a brand new niche. Christian fiction at all began to come into its own then, really. Pickins’ had been pretty slim before that! Thanks for coming by today, Laura, and reminding us how far the Christian romance genre has come, and what a wide range is available today. I’m so blessed to be a part of this dynamic movement, and I know you are, too. Thanks, Valerie! Valerie is one of my favorite contemporary romance writers, ladies. I’ve talked so many readers into giving her books a try. I love that even with different sub genres in romance, we can suggest within our genre that they try the authors we know and enjoy. I know a lot of readers who tell me they don’t read Amish only to come back and tell me they know read Laura’s work. Janet Oke’s daughter wrote her biography, very interesting. Hi, Laura! I enjoyed your post. I used to read Grace Livingston Hill too when I was young. I discovered Janette Oke books while working in the library at school as a teachers assistant. I was hooked! Thanks for visiting the Inspy Romance blog. I have read christian books for the last five years and really enjoy them. The authors create such wonderful stories that are clean reads and full of faith. Amish fiction is one of my favorite genres. I would love to read one of Laura’s books. Thanks for the great interview. 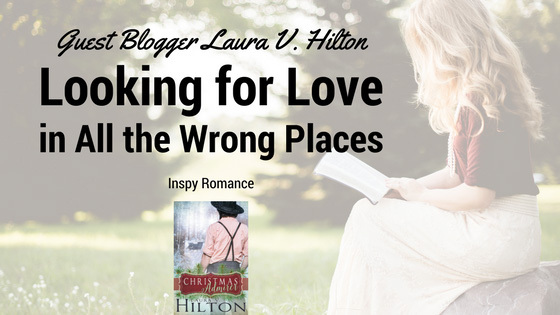 You will love Laura Hilton’s books. Amazing Amish romances. Thanks, Maryann! And thank You, Julie! Thanks for stopping by, Patty. I am the same way, Jackie! I need more time! I used to read Steven King, John Saul, true Crimes and books like that but once I started reading Amish fiction I don’t read books like that any more. I mostly read Amish fiction since now there ius so many Amish fiction authors to keep me busy! Yes, and the best part is that Amish can fit into any category depending on plot. Mystery, suspense, romance, women’s fiction, historical . . . The first Christian books I read were The Loves Comes Softly series by Janette Oke. I loved those! 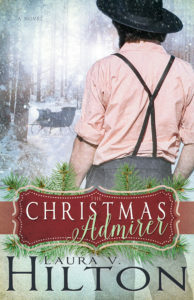 Then Beverly Lewis was next, she got me hooked on Amish fiction, and my love for Christian fiction has grown from there! Beverly Lewis was my first Amish author too. I discovered her with her second book, a clerk at Family Christian bookstore in Grand Rapids recommended her. When I first started reading Christian fiction I read Janette Oke,Beverly Lewis and Lori Wick. My mom and sister loved Lori Wick’s books. One of the first adult christian authors I remember reading is Lauraine Snelling. I love her Red River books. My mother introduced me to Grace Livingston Hill when I was a teenager. I devoured her books. I saved them in a box for one day when I had a daughter. I had a nice collection. Years later sadly my daughter turned her nose up at them…. way way back Harlequin was not a racy and steamy as they are today just like TV. The times they are a changing! I enjoy the Harlequin Love Inspired series though. Nice, clean, enjoyable! The Harlequins I read were pretty racy. I could pretty well guess the couple would be horizontal halfway through the book. I loved her Glenbrooke and Sisterchick books! They are still on my shelves. I can’t really say that I have a favorite Christian author. I love Amish fiction authors, Janette Oke and Kingsbury. I have been an avid reader since 3rd grade when I started ready Little House on the Prairie, The Bobbsey Twins and The Hardy Boys. I’d have to say the same, Janette Oke was my first Christian romance writer I discovered after making my own choices on Godly reads :-) I also read some of the Grace Livingston Hill books. Before then I read the regular Harlequin novels but they began to leave a bad taste in my mouth. One of the first series books I read was Lauraine Snelling’s Red River series. I soon discovered Beverly Lewis for Amish & then stumbled onto the Love Inspired/ Heartsong Presents paperbacks and it exploded from there! Now many years later, I have hundreds of choices at my fingertips, so many authors and genres to fill my need for a good, clean Godly romance :-) I think if I made a list of all the authors I love; it would fill volumes of pages, lol! Such a fun “interview” Laura, I really enjoy getting to know authors outside of their writing :-) Thank you for the giveaway too! You are a new author to me, and I loved getting acquainted. I will definitely look for some of your books. I “cut my eye teeth” on Grace Livingston Hill and later on Robin Jones Gunn and Janette Oke. Love swee, clean romance. thanks for your comment, Evangeline. you know, I have yet to read Wanda’s books. I need to see if the library has any. Wanda’s books are good, but I confess, I like yours better! Wow!! i have so may that do come to mind, but I would consider Beverly Lewis, Shelly Shepard gray, and Wick. The first Christian author that I read was Beverly Lewis. Since then, I have read a lot of Christian fiction from a lot of different authors. My first Amish author I read was Suzanne Wood Fisher. It was a whole new world opened up to me! I would have to say Janette Oke was my first Christian Author, and Beverly Lewis. My first Amish author was Wanda Brunstetter. I have read so many Amish books by different authors, they are all so good. I couldn’t pick just one nowadays! I think the first Christan atuhor I read was Anita Stansfield. My first Christian author was Grace Livingston Hill. and No, I’m not “that” old. Janette Oke was my first experience with christian fiction also. Followed closely by Gilbert Morris and his house of Winslow series.